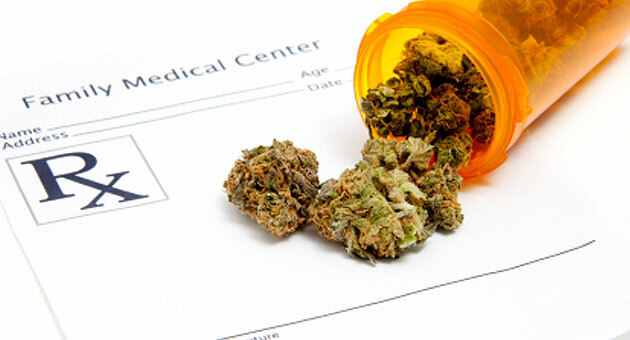 Medical Marijuana Notes – Making Connections. Finding Solutions. These are notes I have taken in 2016 in the learning process for Corey’s seizures and have added through the years. Legal Note: I am not responsible for anyone’s results, actions or medical outcomes, etc. Research shows the entourage effect of the components of the plant work better all together. Discovered by Dr. Raphael Mechoulam, Israel dr., 1988 – improves absorbtion and minimizes side effects. A plant cut too early can cause anxiety. Better to have a full grown female bud product. Female plant produces the flowers. Most medicine is in the flower (bud) and concentrated in the trichomes. “The Scientist” a documentary on Dr. Mechoulam https://youtu.be/csbJnBKqwIw this is long but it is the Israel doctor who found cannibas scientifically and then studied it from history and in the lab. Named the endocannabinoid system. Interesting. Full spectrum is leaving all cannabinoids, terpenes, flavonoids, waxes chlorophyll etc in the product. What naturally occurs in the plant should be naturally left in the product that is what is coined a “whole plant” aka “full spectrum”. Which is what creates the entourage effect. When you start removing cannabinoids, terpenes, flavonoids, waxes chlorophyll then you can no longer call it a full spectrum. I believe people call those “broad spectrums” now. Step 1 Put in the bottle what you say is in the bottle. Step 3. Is your product independently tested? Step 4. Is your product consistent and how do you ensure this? 3rd party labs necessary: HPLC test does not use heat. Heat affects the acids THC-a becomes THC / Gas Chromatographs GC – heats product and its actively changing compounds, not as good for accurate testing / HPLC (known as high performance liquid chromatography, high pressure liquid chromatography) is used to separate the phases of a solid or liquid analyte, regardless of its stability and volatility. Steep Hill is a very reputable lab. CBG – stands for cannabigerol. This has no psychological effects on its own. Believed to be a “parent” to other cannabinoids. CBN – causes sedation, IS a cannabinol, not to be confused with cannabidiol. Cannabinol is very similar to THC, but has less psychological effects. It is produced as THC breaks down within the medical marijuana plant. High cannabinol concentrations can produce undesirably strong head highs. Tends to be high in MM strains like Strawberry Haze, Blue Rhino which can be good for lowering eye pressure such as glaucoma, analgesic and anti-seizure. CBC – stands for cannabichromene. It’s main action is to enhance the effects of THC. High levels will make a high THC mm strain much more potent. THCa turns into THC at 210-212 F and above. Cleans the receptors. CBD cannaboids take 3 weeks to build up in the system… no changes for 3 weeks. Too high amount of CBD in system will cause seizures – new ones or increase old type. Can cause “ticks” if too much. However it does not last after you do reboot to right dose. “Reboots” – Do if ongoing seizures increase (not breakthrough seizures). Go off for 48 hrs to 5 days. Start back at therapeutic dose or dose that worked before increase in seizures. Less if you are not sure of starting dose or if it was too high and increase to therapeutic level. Better to be lower than higher. – Dr. Dustin Sulak D.O. / Janel Ralph – If seizures come back within next 3 wks you know you overshot the therapeutic dose. Take away again for 48 hrs and start lower. Some start at half the starting dose. Geddes believes there is no honeymoon period and reboots are unnecessary if you do not overshoot the therapeutic dose. Raise slow, only 1 change at a time, and track all info. A bad day does not mean its not working. List triggers/ outside factors that are involved. Whole plant starting dose = ½ mg CBD/kg of weight, increase every 3 wks at 1/3 of starting dose, HOLD when you see success. If increase in seizures after an increase your dose is too high. Remove for 24+ hrs depending on circumstances and do last successful dosing or do a full reboot to starting dose or half of starting dose, then increase slowly. Whole plant is different dosing than single element medicine. CBD oil can increase the potency of pharmaceutical meds. Take blood tests or reduce meds after starting with doctor’s assistance. Increase CBD oil at time of trigger, Ie. Hormones, full moon, storms. Parent Ex. : Increase slightly for 3 days surrounding full moon cycle. 25mg a day raises to 35-40mg around full moon then drop back down. Clinical experience suggests cannabinoids have a bell shaped dose response curve with respect to seizure control. 1/3 of patients experienced better seizure control after reducing cannabinoid. Strains: Medical MJ comes from 2 different species of marijuana – Indica or Sativa – or hybrids of the two. … individuals whose systems are compromised by autoimmune disorders, cellular dysfunction, chronic inflammation, cancer cells, and various other illnesses can derive a wide range of health-promoting benefits simply by consuming CBDs. And one of the best ways to obtain CBDs is to juice raw marijuana leaves and buds, according to Dr. Courtney, who currently runs a clinic in Luxembourg that provides raw cannabis medicinal services to patients in need. Will it work? Depends on pharmaceutical interactions, weight, strain, concentration, oil- thca and thc may also be needed. Everyone has a different amount of cb1 and cb2 receptors so it is not one size fits. Humans have an endocannabinoid system consisting of cannabinoid receptors(CB1 and CB2), cannabinoids endogenous means they are made within our body, and enzymes that help metabolize the cannabinoids. Our endocannabinoids are in the “cannabinoid” family of compounds, but they are not identical to the various phytocannabinoids(plants). Appetite: High CBD may cause low appetite but increasing THC will help to increase. Some are using – Stillpoint, Young Living, Doterra Essentials with the CBD oil. Different for each child. Some also use it to replace Tylenol or cold medicine. For stuffed nose – lemon, lavender and peppermint in diffuser. When you see a lab report it can be helpful to know that 1 gram equals 1000 mg. So if the report says that the extract is 60% THC this would mean that it contains 600mg of THC. At x number of doses per gram you divide the mg of each active ingredient by the number of doses to get how much of it is in each dose. Doing it this way allows you to keep actual dosage consistent even when you switch from one vintage of extract to another. Be sure that the percentage given is mg/g, NOT, the percentage it is of the cannabinoids present. If test is of 1 gram and total cannabinoids are 80% THC which is 40% of the sample is 50% of the cannabinoids present. Just to be sure everyone is on the same page. If you’re taking an extract which contains 30mg/g of THC and you get a new extract which is 40% THC you get the same dose (30mg) by taking 1/4 less than you were. Let’s say that the example is the 60% we used in those first two sentences. Let’s say that there are 15 grains (weight) in a gram. Now, let’s say the dosage you’ve worked up to is 5 grains. Now let’s say you run out of that “vintage.” of extract and you get more. However, even though it’s got the same THC:CBD ratio the THC is 80% (800mG) instead of 60%. (600mG) You divide the bigger number (80%) by the smaller number (60%)80/60= 1 1/3 (1.333) This means that in order to get the same dosage you would use 1/3 less grains of extract. 4/3 =1 1/3 4- 1 1/3 = 2 2/3Where you were giving 4 grains you now give 2 2/3 grains for the same dose.